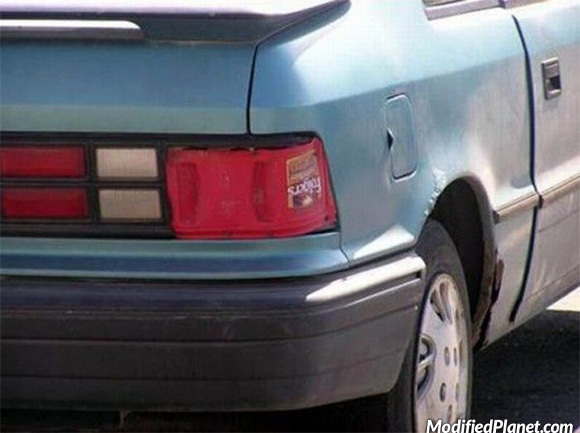 Owner of this modified 1994 Dodge Shadow repaired his passenger tail light with a plastic Folgers coffee container. 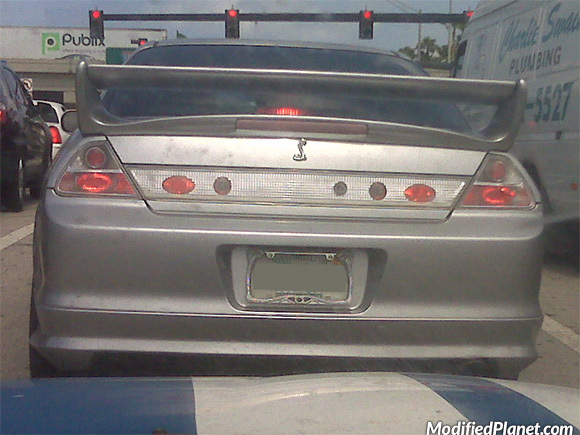 Car fail. 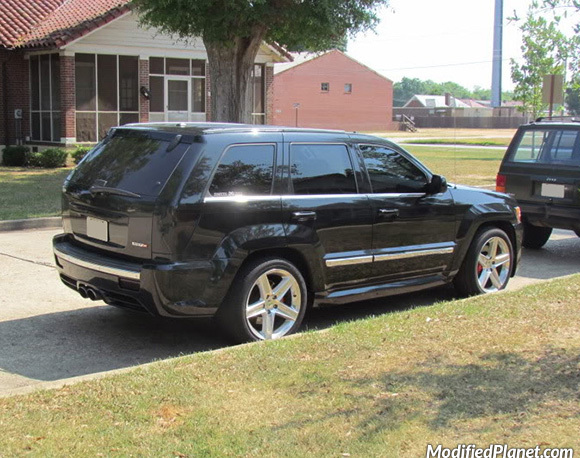 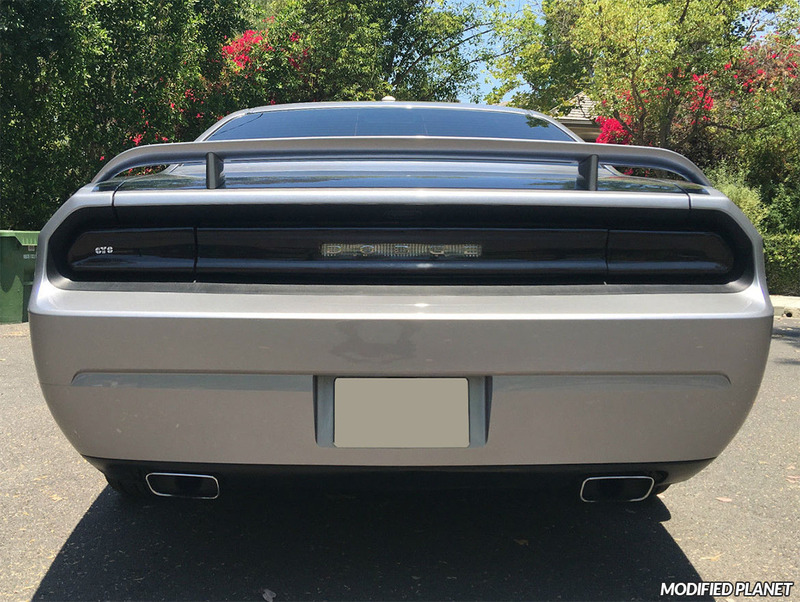 Modified 2008 Jeep Grand Cherokee SRT8 featuring smoked tail lights. 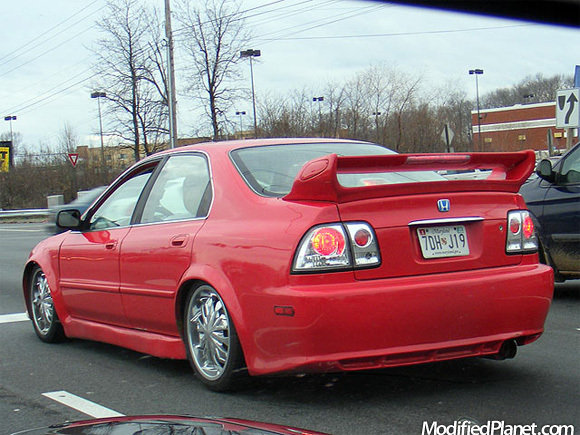 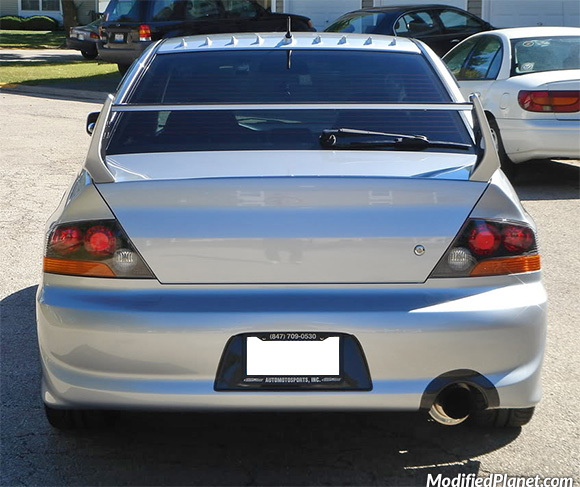 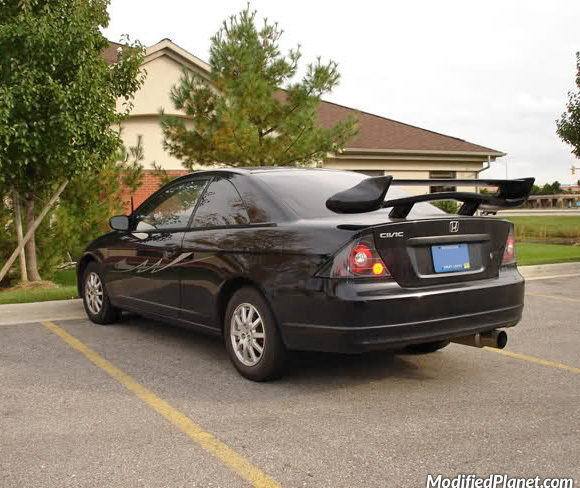 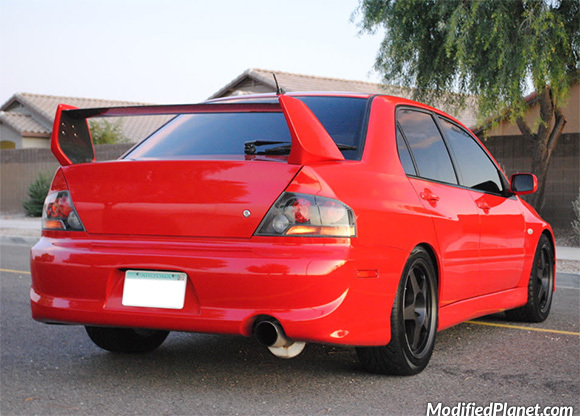 Modified 1996 Honda Accord Sedan featuring a wide body, fender flares, chrome wheels, Altezza tail lights and Wings West commando spoiler.